The charity logos displayed here are only a few examples of the many national & local causes that couples and organizations have chosen for their special charity donation through our favors. We support all medical, humanitarian, and animal causes by donating a portion of the proceeds of our charity wedding favors to our couple's special charity. Truffles for a Cause is a meaningful way to celebrate your special day while also supporting your significant charity. If it's important to you, it's important to us. Our goal is to help you share not only the blessings and joy of your day, but ultimately your love. One of the most common questions we’re asked is “What cause can I choose for my charity donation?” As we’ve said, we support all medical, humanitarian and animal charities. The banner icons at the top of our page are only a few of the many charities our couples have chosen. There are so many worthy causes to choose from. You may have a family member who is suffering with a difficult illness or a loved one who has passed away from a devastating disease. We receive many stories like this one. Each story holds its own personal significance. You may have seen a television commercial that tugged on your heartstrings and reminded you of your childhood pet. Perhaps there was a recent disaster that had a devastating effect on a great number of people here in the US or abroad. Any of these would be an appropriate choice. 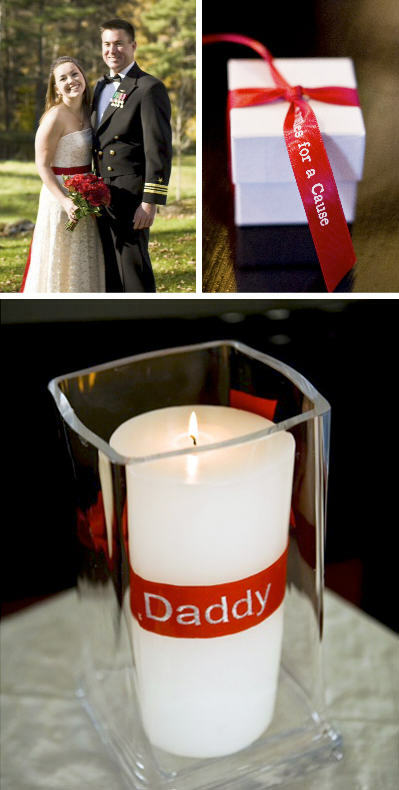 Our charity wedding favors are also the perfect option for those who would like to make a difference in the lives of those in need in their local area. Many of our couples have chosen our charity wedding favors to support a local cause such as a soup kitchen or their local homeless shelter. To many, choosing charity wedding favors from Truffles for a Cause gave them the alternative they had been searching for: a way to give a delicious chocolate wedding favor as well as meaningful charity donation. Truffles for a Cause is the perfect solution to satisfy the chocolate lover as well as the socially conscious.